Want to have the best looking yard and garden in your neighborhood while cutting back on your water bill? By applying a few simple strategies, your automatic irrigation system can help keep everything lush and healthy while using a lot less water. Here are 7 practical tips from the irrigation experts at Rain Bird to get you started for the summer. The greatest waste of water comes from applying too much, too often -- much of the water is never absorbed and just runs off down the street. Instead of watering for one long session, break up your watering times into shorter periods and take 15-minute breaks in between each session. This will allow water to soak in, while minimizing runoff. Automatic sprinkler timers with multiple start times or Cycle+Soak features make this easy. Water between 5 a.m. and 10 a.m. -- when the sun is low, winds are calm and temperatures are cool. Mid-day watering tends to be less efficient because of water loss due to evaporation and windy conditions during the day. Watering in the evening isn't a good idea either because leaves can remain wet overnight -- an open invitation for fungus to grow. By watering in the morning, leaves have a chance to dry out during the day. Different plants need different amounts of water, so don't water them all at the same time. Divide your yard and landscape areas into separate irrigation zones so that grass can be watered separately and more frequently than groundcovers, shrubs and trees. 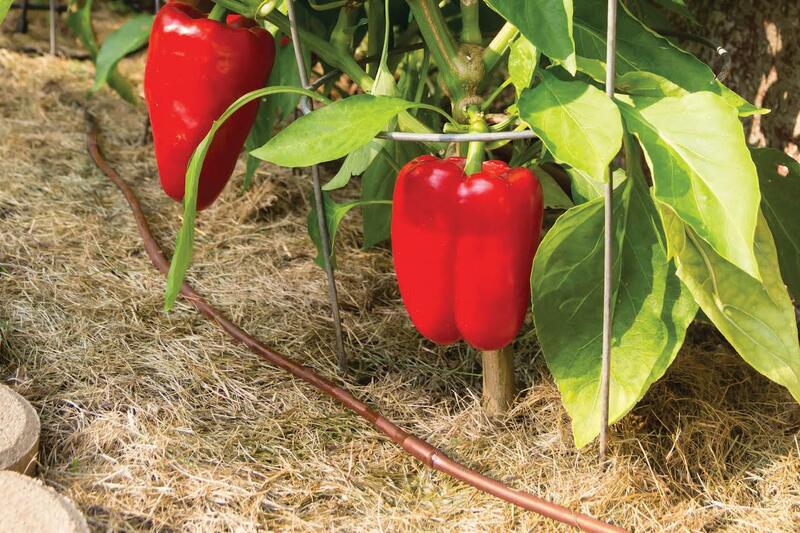 Both sprinkler and drip irrigation can be used to ensure each plant gets exactly the amount of water it needs. No matter how much you water it, the driveway is not going to grow. Make sure your sprinkler heads are adjusted properly to avoid watering sidewalks and buildings. A properly adjusted sprinkler head should spray large droplets of water instead of a fine mist to minimize evaporation and wind drift. If you do see misting and fogging, you might be suffering from high water pressure. Pressure-regulating sprinklers are a quick and easy retrofit that can help ensure water lands exactly where you want it. When it comes to watering individual trees, flowerbeds, potted containers, or vegetable gardens, low volume drip irrigation is a great solution. Single drip emitters, bubblers, microsprays and drip tubing with built in emitters give you a lot of flexibility and deliver water right to the roots. Adding drip to your system will reduce water waste caused by evaporation or runoff, and will help also prevent unwanted weeds from growing. Since lawns and gardens should be watered in the early morning hours, you may not realize you have a problem until it is too late. Put on the bathing suit, turn on your system and periodically check your sprinklers to make sure everything is working properly. A clogged or broken sprinkler head, misaligned spray or a broken pipe can wreak havoc on your landscape and water bill. There's nothing more embarrassing than running your sprinklers during a rainstorm. You can easily prevent this by installing an automatic rain shut-off device that detects rainfall and temporarily suspends irrigation. Whether you choose a simple wired unit or one of the newer wireless rain/freeze sensors, adding one to your existing automatic timer doesn't take long and will help you take advantage of the free water provided by Mother Nature. 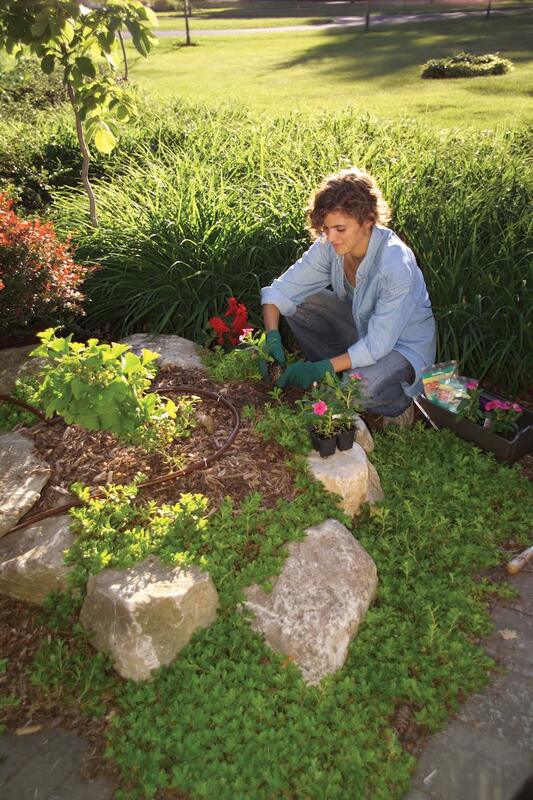 These are just a few of the ways you can water more intelligently in your own yard and garden. For many more water-saving tips, check out the free resources at 25ways.rainbird.com.